Happy, happy, happy Friday! One short week until day light savings time. I am so excited to start getting so more daylight in the evening. Spring will be here before we know it. Thank goodness! Any fun plans for the weekend? We've got a pretty low-key one over here and I'm definitely looking forward to it. My one goal is to catch up on a few Oscar movies that I have yet to see. What should we rent? I'm leaning towards 'Room.' I read the book and loved it. Without any further ado, here are some things I'm loving this week. Check em out. We've got some good ones! 1. Today, I'm heading to Shedd Aquarium with two of my favorite moms and all of our boys. 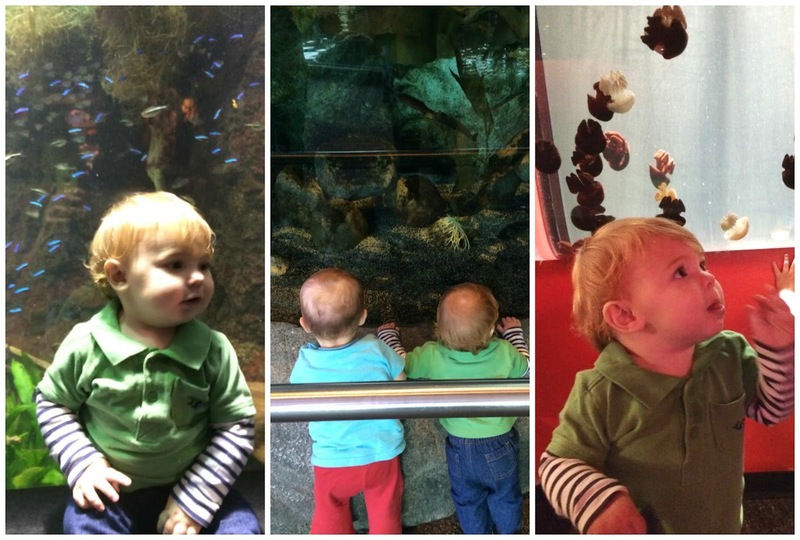 I have loved Shedd since I was a little kid, and I absolutely love taking Callum now. We were last there about a year and a half ago, and I think Callum is going to enjoy it so much more this time around. Stay tuned for a post on our trip! 2. My mom's birthday is tomorrow and Callum and I worked on something really special just for her: stepping stones for her garden. The project was surprisingly easy and I love the way they turned out. We used this tutorial. I got plates and Scrabble tiles from Goodwill. Callum loved smashing the plates with a hammer (between a towel so pieces didn't go everywhere, of course). Now, who knows how I can dispose of the extra concrete? 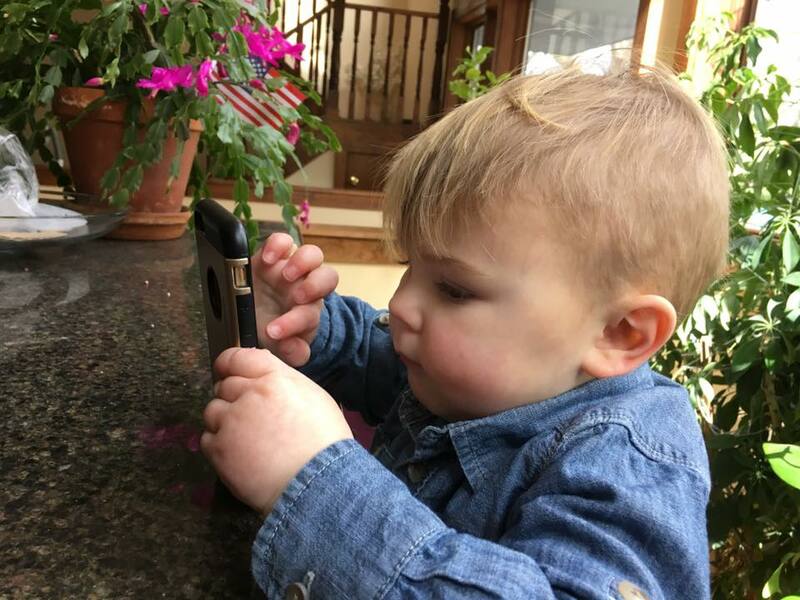 Callum calls my mom "Oma," hence Oma's Garden. 3. I got a couple new pairs of sunglasses from Sunglass Spot and I love them! If you're looking for a new pair, check them out. The glasses are super inexpensive, so I love getting my trendier sunglasses from there because you never know how long you'll like them. Plus, I lose or sit on so many pairs, that I hate spending too much money on them. Tell me: Are you on board with the cat eye's or not? I love them, but I feel sort of ridiculous wearing them. I need to just own them. 4. 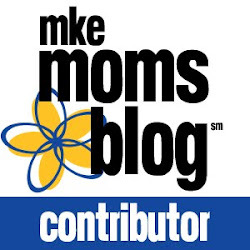 I had not one, but two posts go up on MKE Moms Blog this week: Apps for Toddlers that Save the Day and Why Running Makes Me a Better Mom. Head on over and check them out! 5. Costco does it again! I was walking through the store this week, minding my own business, when one of Costco's amazing employees asked me if I wanted to sample some dark chocolate covered coconut chips. Is there a question?! you guys, they were more amazing than I could've imagined. They were like those really like coconut chips from Trader Joe's, but covered in chocolate. In the cart they went. If you're a coconut fiend like I am, find yourself some immediately! Have a good weekend, everybody! If you're in the Milwaukee area and looking for something to do, check out one of these fun things going on in our wonderful city.